These two hand-blown glasses are filled with To make Raspberry Cream with Sorrel. Take a pinte of cream & boyle it with 3 whites of eggs beaten well with warme cream, put in a blade or 2 of mace & some leamon pill, & when it is pretty well boyled take it off & season it with sugar & put in some juice of raspberries, stir it well together & when it is cold serve it up, thus you may make curranberrie, sorrel, or leamon cream. 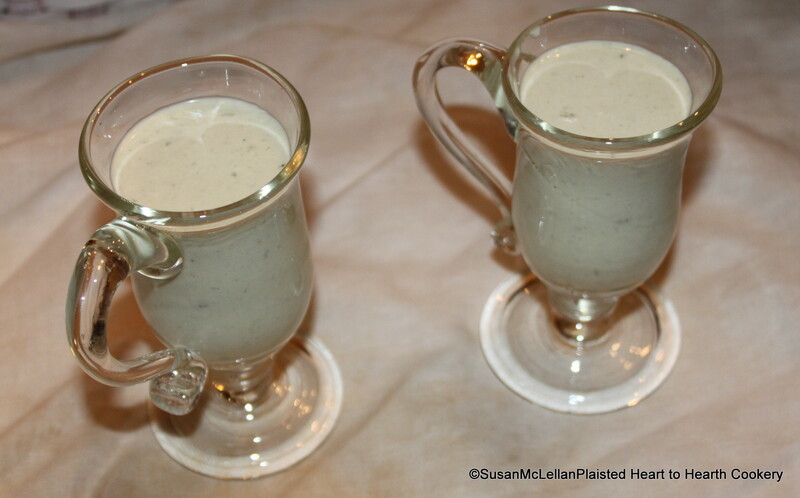 I made sorrel cream by substituting the juice of sorrel for the juice of raspberries. The early spring sorrel leaves have a lemon flavor.